We are a fast, friendly & reliable team of Landscape Gardeners in Barrow, Dalton, Ulverston and through out the South Lakes area. We are dedicated to also providing Lawn Care, Garden & Grounds Maintenance, general site clearance, grass cutting domestic and commercial, weed control, hedge cutting and much more. We are experienced and we love what we do. 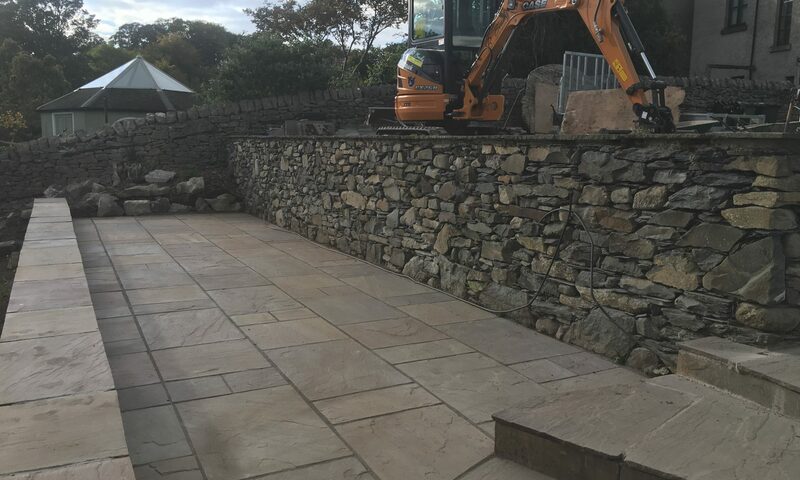 We specialise in everything we do, hard and soft landscaping including patios, driveways, turfing, bespoke stone work and features, planting trees, sitting and barbecue areas, secluded retreats, fencing, steps, artificial grass. We are Marshalls Registered Accredited Installers for driveways and patios, City and Guilds qualified and members of the Guild of Master Craftsmen. No job is too big or too small, if you have a job that needs taking care of by a group of highly skilled, friendly professionals, please ring today for an informal conversation. Robert and his team have worked so hard in some difficult conditions to give us the reality of our vision for a lovely easy to manage garden space. They have provided great service right from the initial pricing estimate and design discussions, through to the onset of groundwork’s and on to completion of a full garden re-landscape. We are very pleased with the end result and will hopefully have many years to enjoy and relax in our new garden. We would definitely recommend R Brady Garden & Landscape Services.